And you have my axe sound recording gizmos. If someone wants to design a TDM zombie, I'll help with some noises. Edited by Shadowhide, 10 January 2012 - 09:19 AM. Are they not the Doom3 noises? Edited by jay pettitt, 10 January 2012 - 09:59 AM. 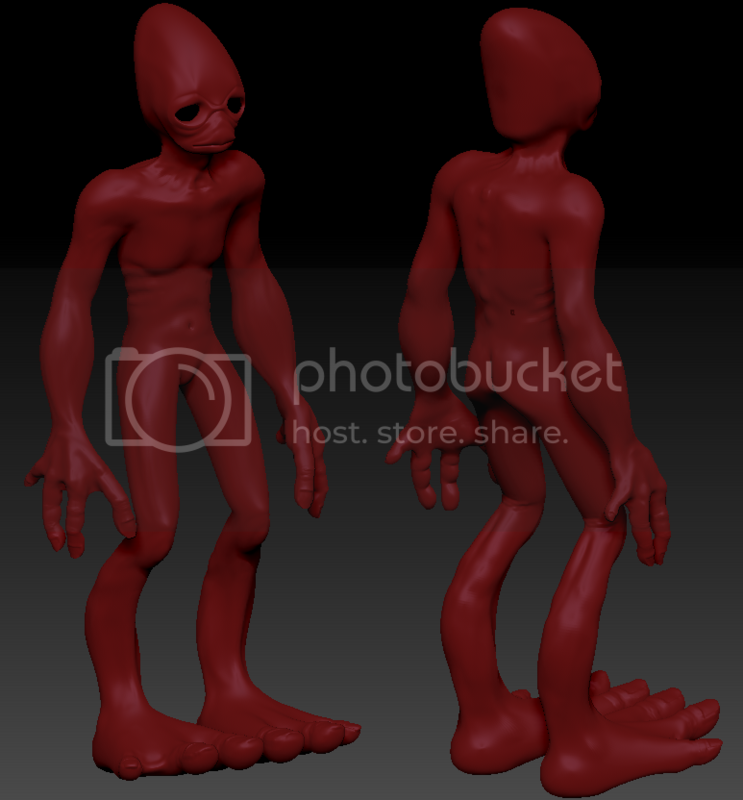 I'm no expert at making character (here's my latest attempt, a mudokon) but I guess I could give it a try. Someone else would need to do the rigging/animations though as I'm pretty bad at it and I'm not sure how well I can export anims from Blender and then pass them on to other members (and I won't do it in Maya as I despise that program). Some kind of concept art would be appreciated but not necessary if there is none. The zombies don't use D3 sounds, so we're clear there. It's the model, the rigging, and the animations that are the hard part. Well, that's the problem...the number of team-members who have the skill to do good quality animations is quite low. I wouldn't be able to do a good enough job even if I wanted to. The number of people who have offered to make zombie models in the past (and never delivered) is also somewhat disheartening. Some kind of concept art would be appreciated but not necessary if there is none. It's the model, the rigging, and the animations that are the hard part. Well, that's the problem...the number of team-members who have the skill to do good quality animations is quite low. I wouldn't be able to do a good enough job even if I wanted to. I am really terrible at animation so I won't even attempt that, but I guess I can try to rig it with Blender. I would need to know the technical limitations of the engine before I do that (can it handle IKs, constraints, wight-paint, should the eyes be separate, etc.). Also is it possible to export rigs from Blender so that other people can open them with Maya, Max, Lightwave or whatever and do the animations? I'm quite busy in school so I don't know how soon I'll be able to finish it (might not be until summer in the worst case scenario). I haven't played all that many missions (even less with zombies), but in the ones I have played they haven't been bloody or anything. Should I take this as you want zombies that are a bit more gruesome? Also do anyone have any good shots of the current zombies or will I have to fix some myself? OK, just to be clear, the rigging and animations for nearly all the characters except the zombies and werebeast are original? Or are just the animations original while the rigging is from Doom 3? If the latter, making a new AI with the new rigging as shown by BloodRayne would start the process of eliminating that sort of dependency. I can't believe they'd sue over rigging anyway. How man ways can you map x number of joints to a bipedal model in a way that wouldn't exactly match another company's work with the same number of joints? It's silly. It'd be like patenting where wheels can be placed on a car. I think you misunderstood me. There is no question that a stand-alone TDM would bring benefits - less hassle, less money, less things that can go wrong and a wider audience is always welcome. However, what I am saying is that a fork is not only unnecessary (there are already people in the official team working on a standalone TDM and have been done so for a couple of years, hell, I did D3 related asset cleanup even before we released v1.0! And now we have the source, so we have our own executable etc), it is also a lot of extra work (in maintaining the fork) that we don't need - we better spent the time replacing assets and making sure TDM starts without D3 present. I am pretty sure that v1.08 is going to at least load the menus properly w/o D3 - whether it also can load a simple mission like TD (or even all missions) has to be seen, tho. But be assured that "the team" is working on that, in one way or another. How far we get is unknown, but a fork will surely NOT speed up the process in any way. Not necessarily. Rigging and animating should really be done by the same person to avoid the potential for problems. Not only that, but the new zombies need to have the same joint names as the old ones, or missions that have objects def_attached to them will crash. There are several different zombie skins, some bloody and some not. To make things even more awkward, the skeleton characters are just zombie characters with different skins (the zombie characters are actually two characters overlapped). That's what I mean about this being more difficult than people realize. OK, just to be clear, the rigging and animations for nearly all the characters except the zombies and werebeast are original? I have here a free zombie model that i downloaded from a site that makes automatic rigging to your 3d characters, i can't remember the name of the site now thou , but i'm certain the model is free to non commercial and commercial work, there's only a walk animation and the file is in the collada format .dae. What the heck is .dae? I've never heard of that format. Hmm, I don't have anything that would open it. I thought you were building with Lightwave, at least you used to. That's on the list. Only versions 9.5 or higher. Blender can open collada files very well and also Maya and 3dmax with the opencollada plugin. BTW collada is starting to be the defacto file format for all 3d apps and game engines, there's even some game engines that only support collada files like the C4 engine, this does not mean that closed file systems like .max, .lxo, .lwo, etc will go away thou. Edited by HMart, 11 January 2012 - 11:59 PM. Just a small status report. Over the past few weeks I have slowly inched towards getting TDM to launch w/o the D3 base present. Mainly this involved adding small files (like a complete white.dds file), a few script functions and material definitions (silly things like a sin table and a _default material definition). Also a few left-over things where cleaned up (like an old, unused gameOver GUI that D3 always loaded but we never used). Luckily, most of the stuff was already fixed long ago. So far the first milestone has been reached: TDM now starts up and renderes the menu (completely). * see if we are missing other bits and pieces - and more cleanup of left-over D3 features that we don't use at all. Hey, it's a good news . Nice work, Tels. I though I was the only one who that effected, good job! Out of curiosity what are you doing for glprogs? It's the 1 thing we haven't officially fixed yet on Hexen. There are some promising progressions in the community, but nothing complete yet unless we have missed it. Still need to mess with the console a bit more, pretty sure I can get the font clearer. Also want a var or two to control things. Consolas looked a bit better, but limiting to free fonts, this doesn't look too bad. View it at full size, else it'll look horrible. Looks great to me. Good work!